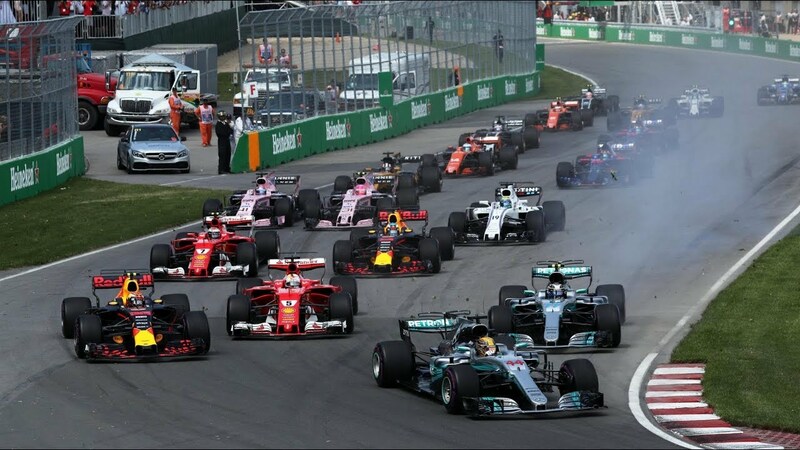 Another thrilling Grand Prix has breezed through Montreal, leaving our Sin City of the North pining for a quick return of the most exciting event of the year. All throughout the city, visitors and locals alike were fueled by Grand Prix fever, and you could see just how excited spectators were long before racers were given the green light to try and dominate Circuit Gilles-Villeneuve. Whether you weren’t able to attend the big event or want to relive the thrill and high speeds of the race, we’ve put together the race results to bring you back to the action of the Montreal Grand Prix. 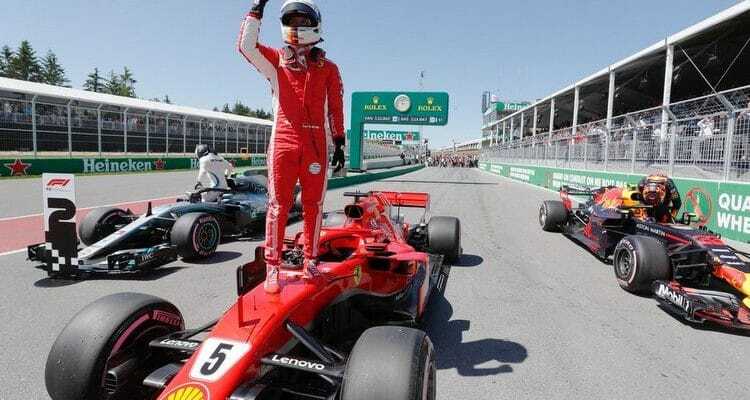 It was an exhilarating race that ended in with an expected victor that earned a much-needed win for Ferrari, which hasn’t seen a victory at the Montreal Grand Prix in eight years. Before we get down to the victors of the race, let’s take a moment to honor those that tried their hardest, but couldn’t quite make Circuit Gilles-Villeneuve work for them. It’s been a rough season for Russian driver Sergey Sirotkin so far. In his worst race of the championship, Sirotkin, driving for Williams-Mercedes, came in 17th. After racing his fifth race of the 2018 championship, Sirotkin is still in dead last with zero points, joined only by Franco-Swiss Haas F1 driver, Romain Grosjean, who finished 12th at Montreal. Grosjean’s bad luck streak seems to follow him as he came in 15th at Monaco and was retired in the Spanish, Azerbaijan, and Australian Grand Prix. Belgium racer, Stoffel Vandoorne, may have beat out Sirotkin, earning the 16th spot in the standings, but it was the second race in a row that the McLaren team scores no points. Being in last and second-to-last place aren’t the worst things that could happen, however. Lance Stroll, Canada’s own pride and joy, had a bad day and qualified 16th. That didn’t matter much as seconds into the race, on Turn 5 of the circuit, he was caught up with Toro Rosso’s Brendon Hartley and was eliminated on the spot. The incident initiated a Safety Car period and forced the New Zealand driver to also retire. 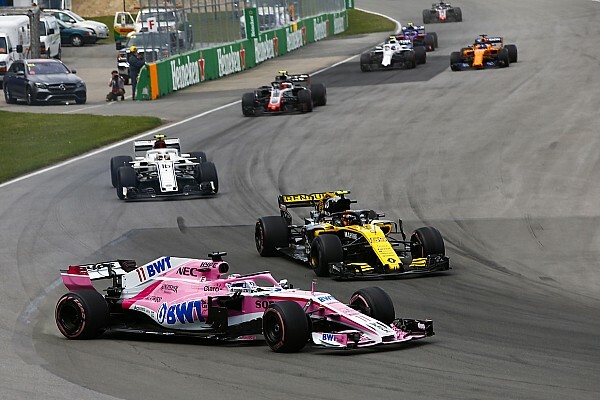 Another collision occurred between Force India driver, Sergio Perez, and Renault’s Carlos Sainz Jr. that cost Perez a chance at the ninth position. While Sainz went on to finish 8th, Perez dropped down to 14th, earning no points for Force India. Spain’s Fernando Alonso was enjoying a decent run when he was forced to retire for the second time this season. Undoubtedly on his way to scoring points for team McLaren, Alonso’s vehicle showed signs of exhaust issues and was immediately instructed to retire. It wasn’t a good day for the McLaren team. Verstappen may not have placed 1st, but he rectified the relative disaster that was the Monaco Grand Prix. After placing 6th at Australia, retiring in Bahrain and Azerbaijan, and placing 5th at China, Verstappen scored a Bronze at Spain. Then he slipped up at Monaco, making the Montreal Grand Prix and important race in his series and for team Red Bull Racing-TAG Heuer. He’s still not in the top five with only 50 points, but Montreal gave him the opportunity to climb back up the rankings. Carlos Sainz may have placed 8th and his Renault teammate coming in just behind him at 7th, but their placements in the top 10 have earned their team fourth place in the constructors’ championship. They currently lead McLaren by 16 points and are heading in the proper direction to overtake the frontrunners. Charles Leclerc, driving for Sauber-Ferrari, may only be racing in his first Formula One championship series, but he’s done his best to hold his own. The first three races of the series were difficult for him, but he earned points in Azerbaijan and Spain. At the Montreal Grand Prix, he again scored points, placing 10th and putting him at the 14th position in the standings. While not the most impressive position, Leclerc is leading his more experienced teammate, Marcus Ericsson, which may spell a brighter future for the rookie. Coming in just 7.3 seconds behind the 1st position, Valtteri Bottas, driving for Mercedes, continues to remain consistent during this championship series. Despite his slip-ups in the first and fourth races of the series, Bottas’ fourth Silver victory of 2018 keeps him at the number 3 position. He may have a ways to go to catch up to Hamilton, with a near 40 point gap separating them, but there are plenty of races left for either Hamilton to slip up or for Bottas to come in with a Gold victory. While all 20 drivers came into the 2018 Montreal Grand Prix wanting to score that 1st place position and take the Canadian Gold into the French Grand Prix, only one could and did – Sebastian Vettel. It’s been a series of ups and downs for the Ferrari driver, having scored two Gold in Australia and Bahrain before dropping down to the 8th position at China. He then redeemed himself quite a bit by scoring two 4th place wins at Azerbaijan and Spain and a Silver at Monaco. 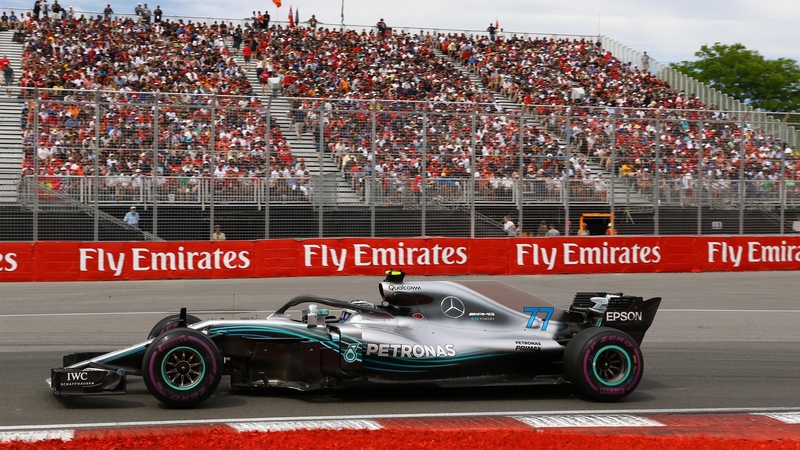 His win at Montreal put him one point ahead of Lewis Hamilton, racing for Mercedes, and gave Ferrari its first win at the Canadian circuit since 2004. This cleared the 14-point gain that Hamilton had on him, despite Hamilton’s minor slip-up at Monaco. 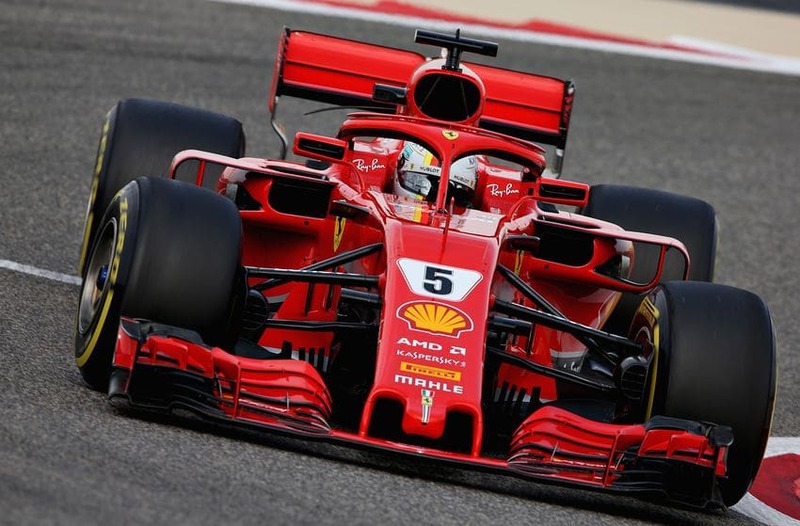 Vettel, who finished the race in 1:28:31.377, held his position strong the moment he pulled away from pole position, though he claims it was a difficult feat partway through the race. His win at Montreal earned him the 50th Grand Prix victory of his career. The German racer will be tackling the French circuit for the second time in his career at the 2018 French Grand Prix. It’s been 10 years since his last race at Circuit de Nevers Magny-Cours, where he placed 12th. The 2018 Grand Prix is also the first time the world championship series has returned to France since 2008. After the 2018 Montreal Grand Prix, Vettel is just one point away from Hamilton, who sits with 120 points. Bottas currently holds 3rd with 86 points, though Daniel Ricciardo is close with two Gold victories and 84 points. Kimi Raikkonen holds the 5th position with 68 points while Max Verstappen sits comfortably in 6th with an 18 point deficit. The 7th and 8th positions, held by Alonso and Nico Hulkenberg, are tied at 32 points and are trailed by Sainz with an eight-point lead. Finally, Kevin Magnussen, having earned only three point-earning positions, is struggling to remain in 10th ahead of Pierre Gasly, who is only one point behind.